Residential Rental Listing 3 bed 2 bath in Austin, TX. 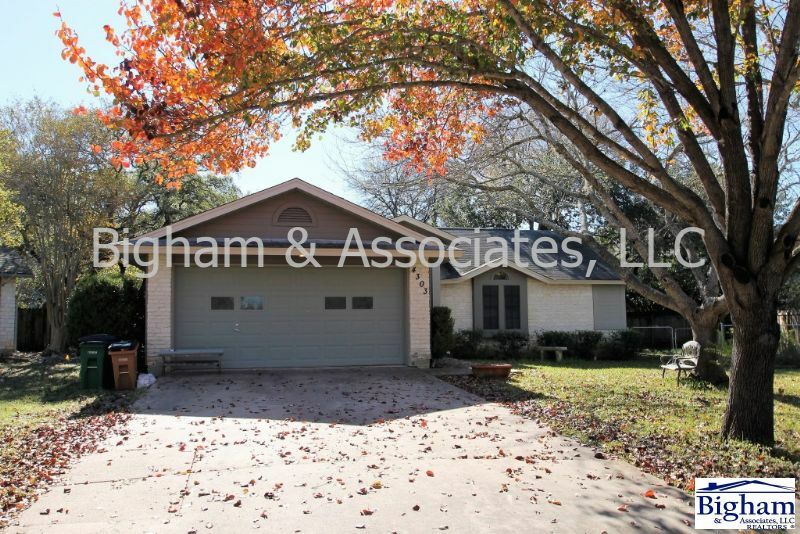 Great S. Austin cul-de-sec location in established neighborhood. Just 10 miles to downtown, near restaurants and shopping with easy access to MOPAC, Brodie Ln, William Cannon, and Slaughter Ln. Open floor plan features laminate and hard tile flooring (no carpet) throughout. Formal living / dining area off entry foyer. Family room opens to breakfast area and galley kitchen with customized cabinets and pantry closet for efficient storage; stainless steel appliances and breakfast bar. Master suite with high ceilings has full bath with two walk-in closets, garden tub, separate shower, and double vanity. The two spacious secondary bedrooms share a full bath. Window blinds and ceiling fans in family room, formal living / dining room, and three bedrooms. Large, covered patio off family room. Tree-shaded back yard is fenced, Storage shed at side of house,. Two car garage with door opener. Available June 2019. Professionally managed.